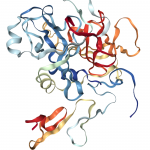 The Octet system by ForteBio uses Bio-Layer Interferometry (BLI), a label-free method for measuring bi-molecular interactions. 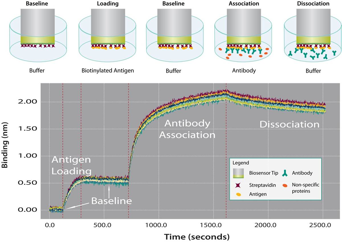 With Dip and Read technology there is no need to purify antibodies to get valuable antigen binding and specificity information.Please contact us to discuss how BLI can help you select the right antibody. Octet Biosensors come in a variety of surface chemistries useful for designing an assay to suit your needs.